Bono has written about a “brush with mortality” last Christmas that inspired at least three songs on the new U2 album Songs of Experience. On the liner notes of the record, which is out today, the singer writes: “Last winter I was on the receiving end of a shock to the system, a shock that left me clinging on to my own life. The “near-death” experience happened sometime between Christmas and New Year. 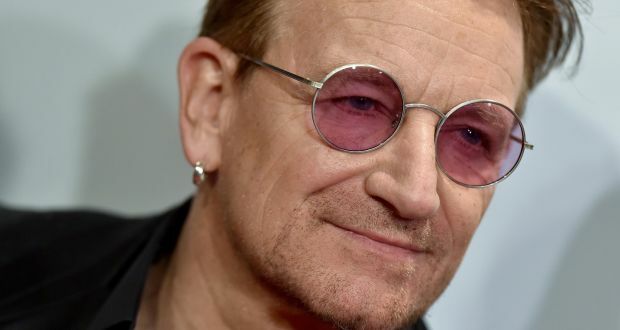 The singer won’t go into the precise details of what happened but speaking to The Irish Times in London last month before their Trafalgar Square concert, The Edge confirmed the incident. Asked about Irish poet Brendan Kennelly’s advice to Bono, to write his songs as though he were dead, the Edge referenced Bono’s incident. “It was a very serious scare he had and it did affect the way he was viewing his writing for this record,” he said.